The BS Tweets story did rather set the SEND world alight with many posts from blogs and articles in the mainstream media (where SNJ was quoted or I was interviewed a number of times). 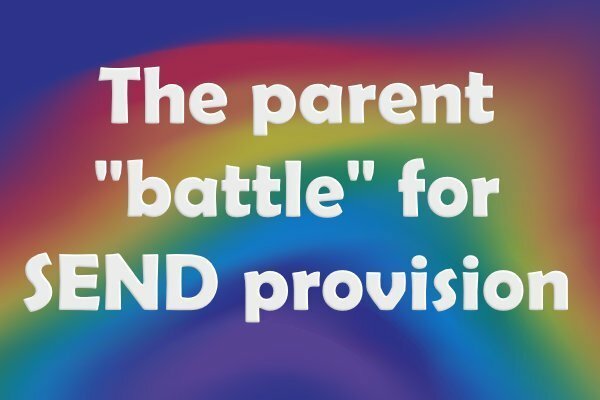 One special needs blogger, Ann H of the blog Rainbows are too Beautiful, has written a post for us with her take on the issues behind why parents can find themselves at the SEND Tribunal in the first place - the lack of appropriate provision close to where they live. The whole Baker Small fiasco last week has raised many issues. Whatever you think of the actions of the Law Firm on Twitter on Friday (10th June 2016), and honestly I can hear your comments while writing, it sparked a greater debate amongst the SEND community. Why do any of us have to ‘fight’ like this for our children’s right to an appropriate education? By their very definition in the Children and Families Act 2014, a SEN child, “calls for special educational provision to be made for them". This provision is “additional to or different from that which would normally be provided for children or young people of the same age in a mainstream education setting." In an effort to avoid disagreements and unsuitable provisions, The Children and Families Act 2014 laid out general principles that local authorities pay particular attention to the views, wishes and feelings of children and their parents, and young people with SEN. The hope is by including the children and the parents in discussions about their needs and future provision that this will avoid disagreements and the need for a Tribunal. However, in such a sensitive area and with limited resources, disagreements still occur and parents and Local Authorities can end up potentially 'battling it out' in a legal proceeding. The number of children with Statements of SEN or EHCPs has been the same proportion of roughly 2.8% of children at school since 2009. However, as the number of children at school has increased therefore so have the number of children with SEN Statements and EHCPs to 236,165 in 2015. This includes an additional 4,000 children with a SEN statement or EHCP in 2015, than there were in 2014, all of whom need additional support, provisions and/or specialist settings. Although the number of SEND appeals increased in the 15 years up to 2014, this has dropped but still stands at over 3,000 cases for the year in 2015. This means that for every four new Statements or EHCPs that were registered in 2015, the Local Authority were also dealing with three SEND appeals. Appeals cover many things from decision to not assess a child for SEN to which provision is most suitable for them. Of all the appeals, the greatest number of cases has come from children with a presenting need of Autism/ASD. Over the last five years this has been as high as 40% of all cases and has come down to just over 1,000 cases (35% of all cases) in 2015. Nearly half of all appeals are to do with the contents of the provision for the child. This is something I understand. Both my son’s main presenting needs are Autism. Whilst our eldest is thriving with support in a mainstream setting, it was obvious to us that our youngest was going to need greater support in a specialist autism provision. Our mission became to find this suitable setting. Despite having two autism specific settings within two miles of our home, neither had space for our son who was due to start in his reception year. We had to look outside the borough. Our borough currently has nearly 500 children that it sends to provisions outside its borders as it is unable to meet the child’s needs. There are many boroughs with much higher numbers. According to the Telegraph, 12% of children going through regular school applications missed out on their top choice of primary school for this September. 19,000 or 3% missed out of a place at their top three choices. Choice was not something I associated with our school decision. Our son, thankfully, ended up at the only placement available for him. However, during the process, the battle for resources became so intense that we wouldn’t share information with other parents, incase they got to a placement first. The lack of provision, in our case, pitted us not only against the borough but also against other SEN parents and broke one of the key support networks we could have. Our borough is one of hopefully many, looking to create new specialist free schools to meet the needs of its population. One thing is for sure, without effective appropriate provisions and resources available or a change in the system, there will continue to be children at risk of missing out on a suitable education and more battles in court. As you will know, SNJ's launched a campaign to create a voluntary code of conduct that Local Authorities and indeed parents could sign confirming their commitment to the principles of the Children and Families Act 2014. Unfortunately a subjective principle in an Act of Parliament can be difficult to monitor so anything that encourages a fair hearing for parents and better cooperation can only be a good thing. Ann H is a full time mum and part time college teacher. 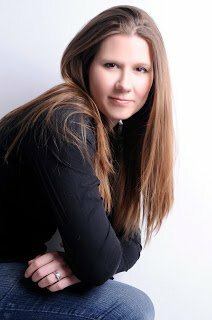 She writes at the blog, rainbowsaretoobeautiful.blogspot.co.uk, sharing positive thoughts, ideas and experiences of life with her autistic and neurotypical kids and greater family. "Rainbows are too beautiful," said Anthony. "I just can't look at them." Ann feels this summarises so much about their lives. How things seem different and how her boys’ senses interpret the world in their own way. That’s why inspectors were all numbers, numbers, numbers. Red mist descends in Herts last week, more facts here than county hall! LA inspectors were all numbers, numbers, numbers in Herts last week. Red mist obscured view, more facts here than county hall! 1.8% ehcp/statements I Herts, a third lower than national average.